Pickles are one of those rare foods that most people love, but never even think of making. Most home cooks shy away from making pickles because they take time and patience, and because the grocery store option is both cheap and delicious. I'm very much one of those people who opts for store-bought pickles. I never remember that I'm out of pickles until I'm making lunch, at which point it's a little late for a week-long process. Unfortunately, if I'm out of pickles it means that I have to deal with the sad reality of a sandwich that also has no pickles. But that just changed, as I found out about the world's greatest pickle hack: quickles. Quickles (quick pickles) are pickles that take only ten minutes to make, and require just three ingredients: cucumbers, salt, and sugar. The thinner you slice your cucumber, the quicker it will pickle. That said, the primary draw of quickles is that they're, well, quick; so don't waste your time trying to slice them meticulously. 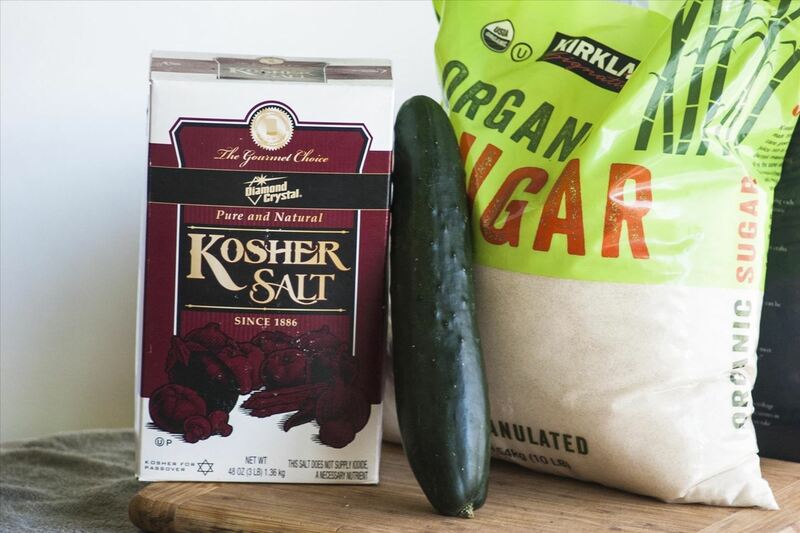 For a medium-sized cucumber, use one tablespoon of sugar, and 1½ teaspoons of kosher salt. It's worth playing with this ratio; the recipe I first used called for twice as much sugar, but I found the result far too sweet. You can also throw in some garlic slices, peppercorns, or any other seasoning for some additional flavor. Stir the mixture into the cucumbers, and put a lid on the bowl. 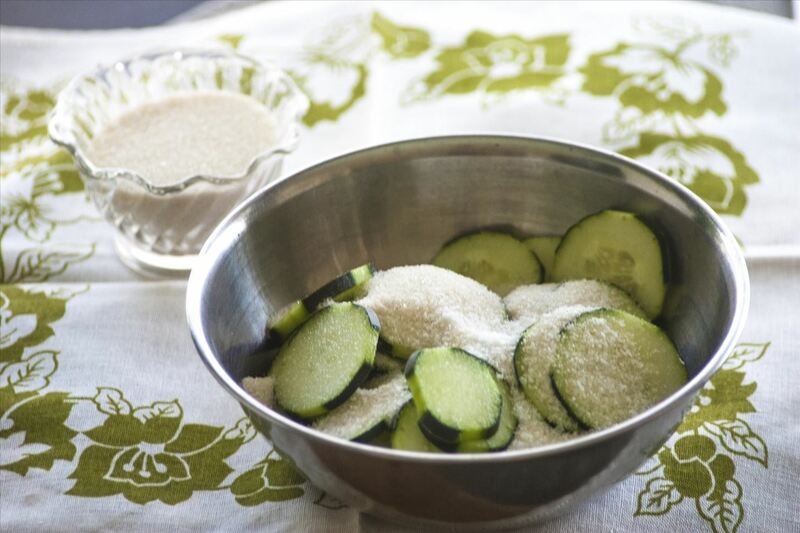 As your cucumbers steep, the salt and sugar will draw out the moisture of the vegetable. 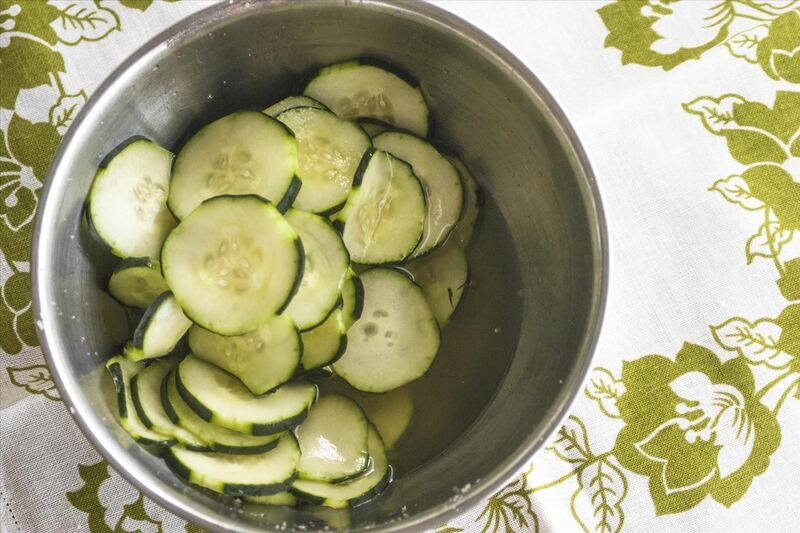 That moisture—combined with the salt and sugar— creates a brine for the cucumber. While this brine doesn't pickle the cucumbers the way vinegar does over the course of week, it has a similar effect in both taste and texture. After waiting ten minutes you'll find a pool of brine sitting at the base of some perfectly tender quickle slices. Of course, there are fruits & veggies other than cucumbers that can be pickled, and thankfully, most of them can be pickled quickly. The dry method mentioned here only works for produce with a high water content, like cucumbers and radishes (vegetables with a low water content don't have enough liquid for a dry brine to expel). 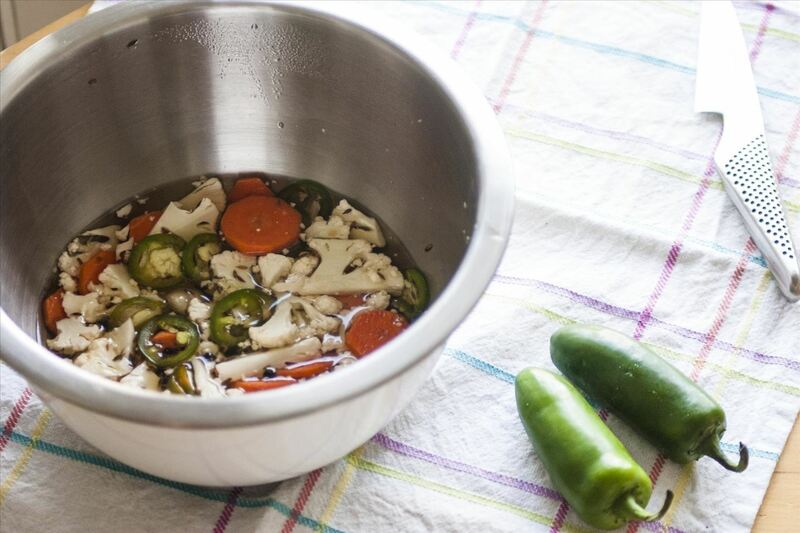 For drier veggies—such as carrots, cauliflower, and broccoli—you'll need to make a quick pickling juice (this method also works for cucumbers, it just takes more time). 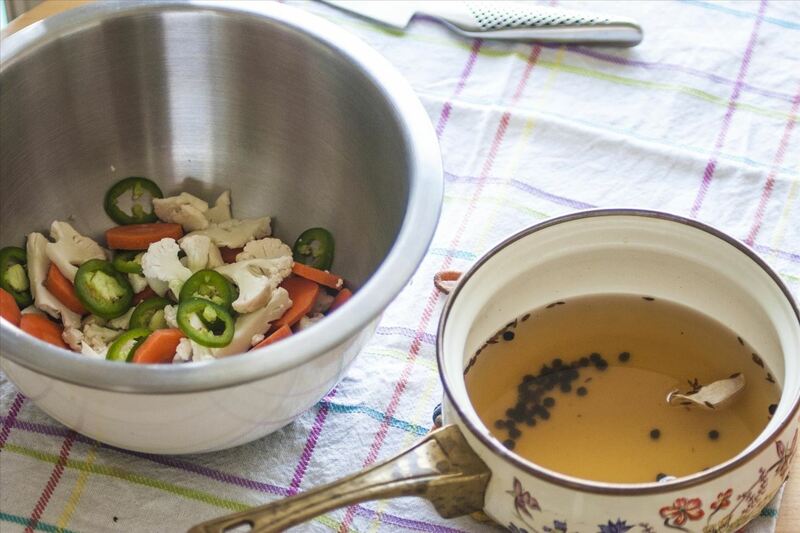 Making a pickling juice is easy: toast some spices, add them to a pot with two tablespoons of salt and one cup each of water, vinegar (I prefer apple cider), and sugar, and bring to a boil. Pour this liquid over your sliced veggies, and by the time it has cooled down, you'll have veggie quickles. If you're anything like me, your lunches will never be the same. Did you know that the brine from traditionally made pickles can be used in martinis, as a hangover cure, or to help you recover from a workout? And pickle jars don't have to go into the recycling bin: here's how to de-stink them two with simple ingredients.